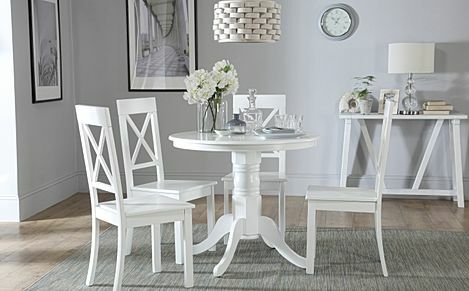 Enjoy the simplicity of our round dining sets which allow you to accommodate extra guests - our central and three-leg designs will ensure everyone is comfortably seated. 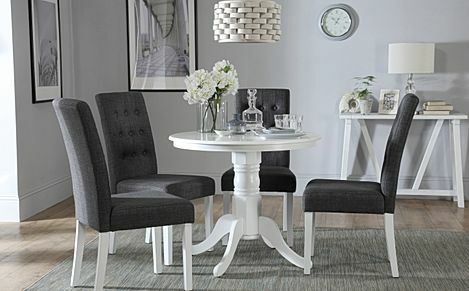 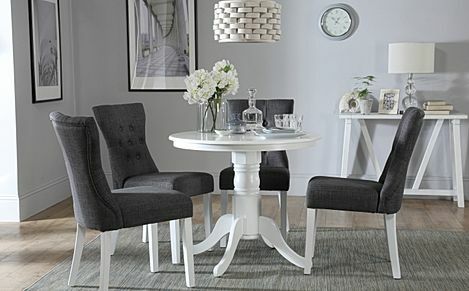 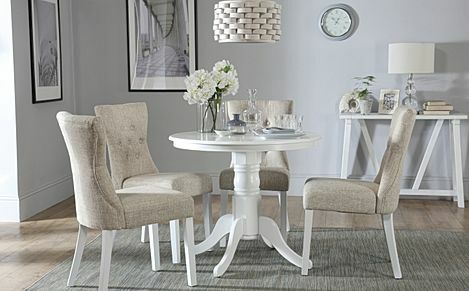 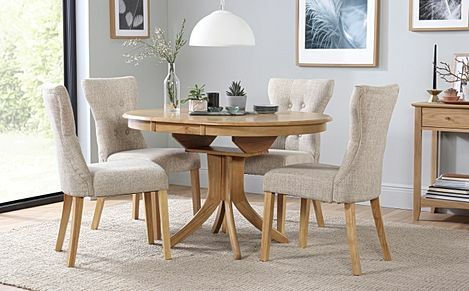 A round dining table is a classic and versatile pick, working especially well in smaller homes and apartments. 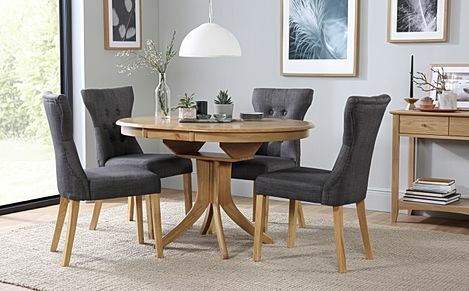 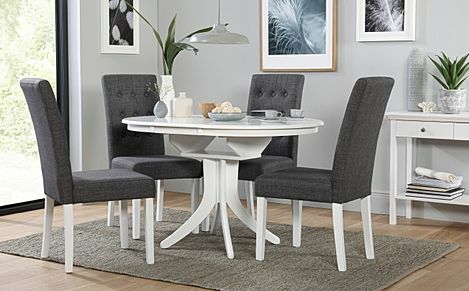 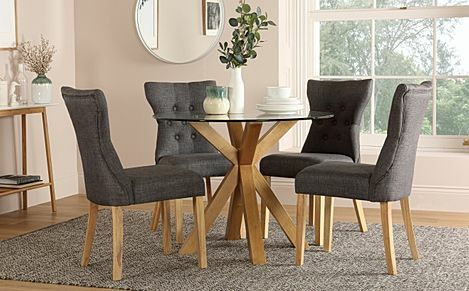 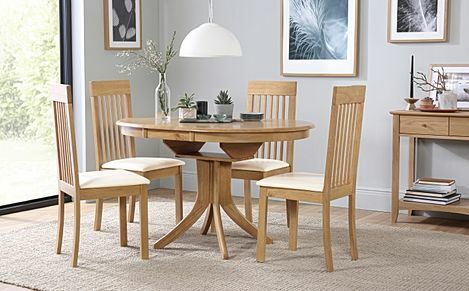 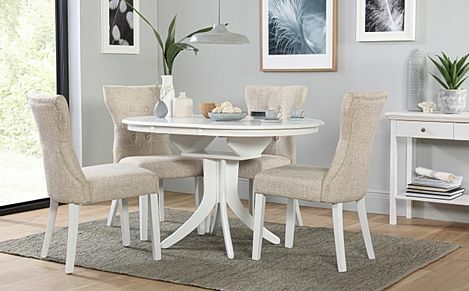 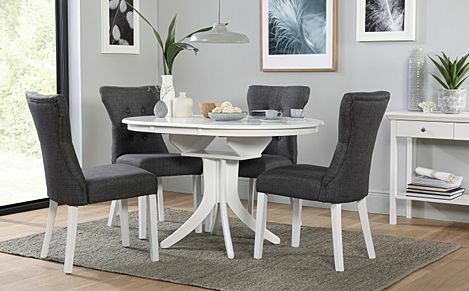 If you're looking for a new dining set, take advantage of our wide range of dining furniture, as well as a smooth and stress-free shopping experience, with free delivery to most addresses in the UK. 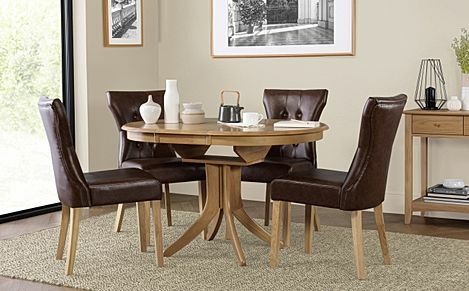 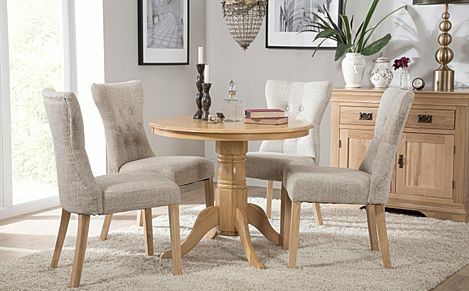 The timeless round table has always been popular, with a variety of styles that make it incredibly versatile. 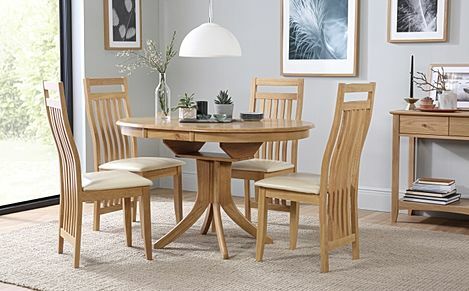 If you're a fan of the rustic look, go for our oak tables available in finishes of oak, dark wood and even white for contemporary homes. 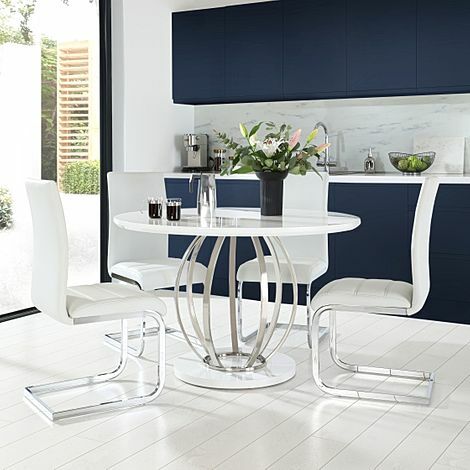 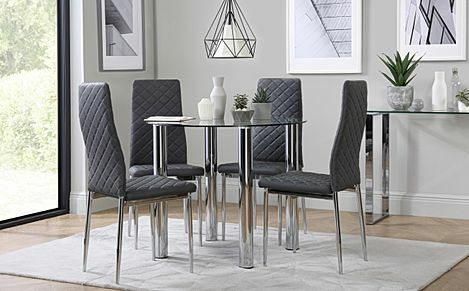 For a modern, edgier feel, our designs in high gloss or glass are bold statement pieces in the dining room. 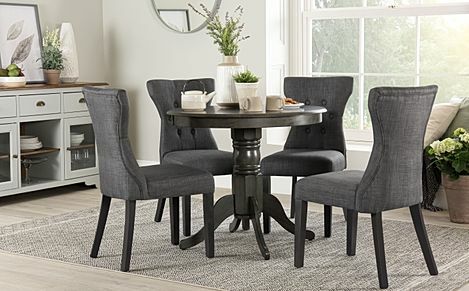 With various styles and finishes to choose from, you'll definitely find your ideal round dining table and chairs here at Furniture Choice. 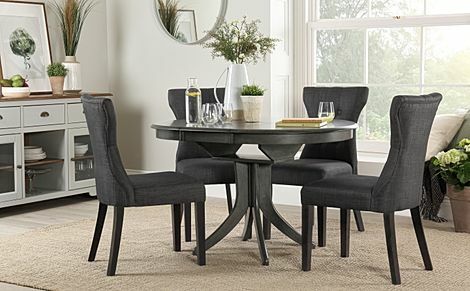 Our round dining sets feature both fixed and extending tables, allowing you to accommodate extra guests, along with different pedestal leg options. 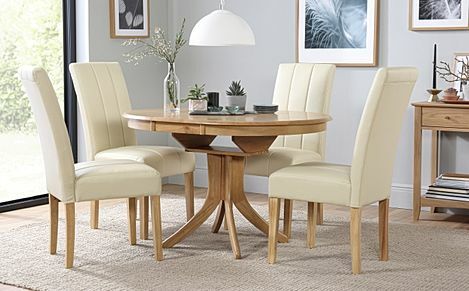 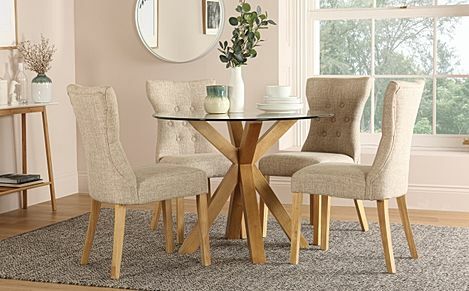 There's no shortage of beautifully made chairs to accompany your round dining set too, including oak chairs, and fabric options with comfortable upholstered seats. 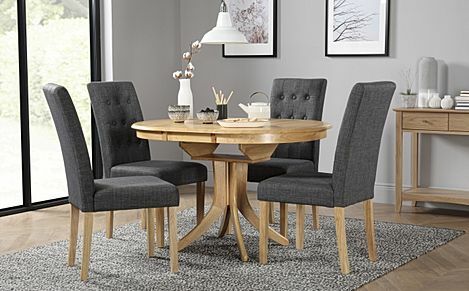 Our round dining table sets are all made with sustainable and durable materials, and we do so while keeping our costs low and our prices affordable. 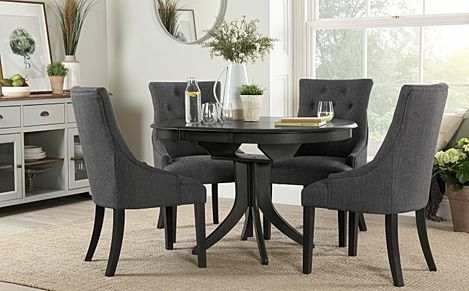 So rest assured that you'll be investing in a solid purchase, at a fantastic deal. 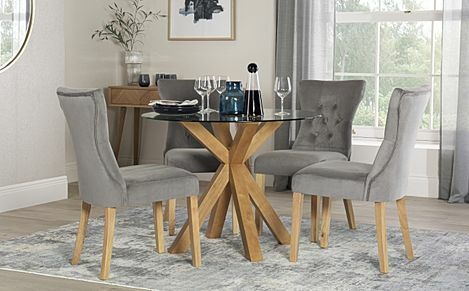 Ordering online with us couldn't be simpler - just pick your dining set, and select a payment option before choosing a delivery date at checkout. 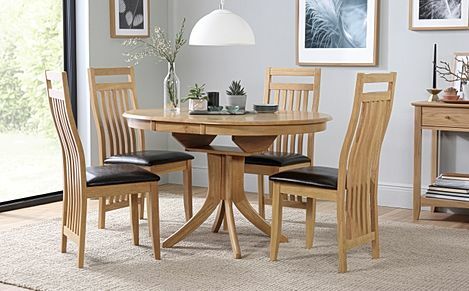 If you’re new to buying your dining set online, we’re here to help. 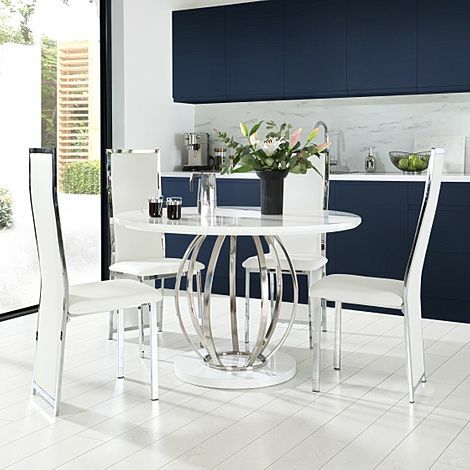 Our staff, based right here in the UK, will be happy to assist you further - just give us a call on 0800 035 0070 today.